The Core Products Therapeutica Spinal Back Support promotes good back health while sitting at home or the office. Proper posture is important to prevent pain and decrease stress on the back. 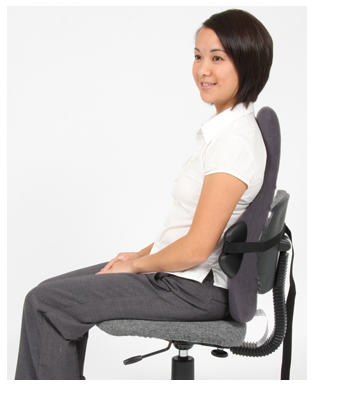 You will notice the s-shape design of the Back Support is ergonomically designed to contour to the spine. When sitting, the spine naturally conforms to the upper back, lumbar region and lower back to consider all areas of the spine for correct alignment. 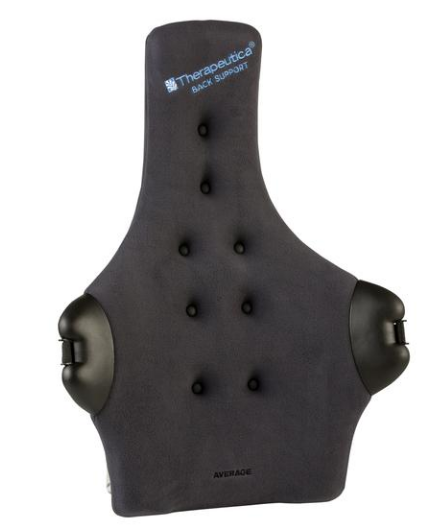 The Therapeutica Back Brace also comfortably cushions the back with a layer of foam that's molded around a plastic polypropylene base with a fitted cover. The cover also has a strap when securing the support to a chair. Core Products provides a 5-year warranty ensuring the Spinal Back Support will maintain its shape and resilience through your work week. 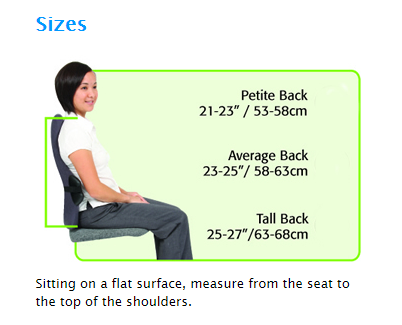 The Therapeutica Average, Petite and Tall Spinal Back Support is made in three sizes so you get the best fit by measuring from the seat to the top of the shoulders. 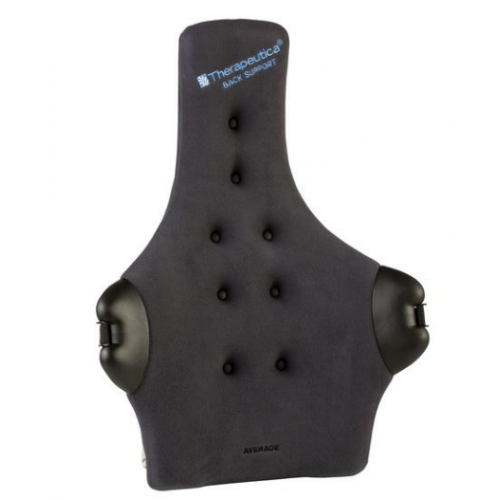 You may also want to check out the Therapeutica Spinal Support Plus that's designed for the vehicle with additional support to the head and neck.